tilt their head to one side and turn their chin to the other side. Torticollis is usually caused by a tight or short muscle at the side of the neck. It first appears when the baby is 2 or 3 weeks old. Torticollis may be caused by the baby's position in the womb. There are also other conditions that can cause torticollis, or there may be no obvious cause. Plagiocephaly (flat head in babies) is often associated with torticollis. This is because the neck rotated to one side for a long time may cause a flat area on that part of the head. Plagiocephaly and torticollis can also happen independently. If your baby has torticollis, follow the recommendations below. If it continues, talk to your doctor about seeing a physiotherapist. These activities can treat torticollis as well as prevent it. Do them several times a day so they become part of your normal daily routine. Almost all torticollis due to muscle tightness will get better with these activities before your baby turns 1. To reduce the risk of sudden unexpected death in infancy (SUDI), always put your baby to sleep on their back and keep their face clear. Also see Safe sleeping for babies. 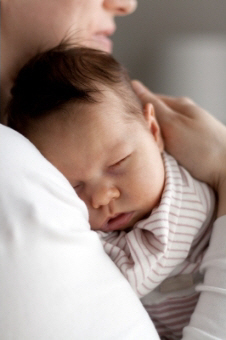 When your baby is asleep, turn their head to one side and alternate sides for each sleep time. Encourage your baby to turn their head to the non-preferred side while they are lying in their cot. Your baby may turn their head towards points of interest (such as doorways, windows or toys). If this happens, you may need to change the end of the cot the baby sleeps at, or turn the cot around. Lie your baby on their non-preferred side with support under their head. This will gently stretch the tight neck muscles on that side. Play with your baby while they are lying on their non-preferred side. They can either be in your arms or on the floor. When your baby lifts their head, this will strengthen the neck muscles on the opposite side. Carry your baby in a way that encourages them to turn their head to their non-preferred side. Sit on different sides of your baby each time you feed them so they have to turn their head different ways (or just on the opposite side to their preferred side). Place your baby on a firm surface allowing them to breathe freely. You can do tummy time in a variety of ways, for example with your baby on your chest, over a wedge, over a cushion, over a rolled-up towel, or over your legs. Put toys on both sides of their face to encourage them to turn their head (or just on the opposite side to their preferred side). Interact with your baby from both sides (or just on the opposite side to their preferred side). Encourage your baby to use both hands equally and to play in the midline of their body. 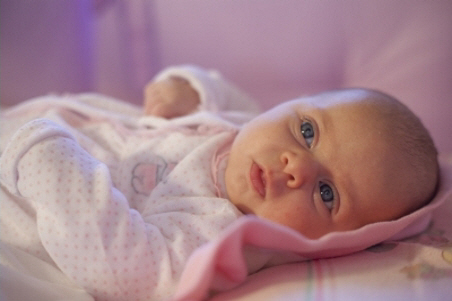 Your baby may not tolerate long times on their tummy to start with. Build up the time with short, frequent periods of practice throughout the day, for example after each nappy change. Start with just a minute or two (or less if necessary) and gradually increase to as much time as your baby can manage. Take breaks when your baby shows signs of tiredness, for example grizzling, grunting and so on, but before they start crying. Aim for at least 30 minutes a day. This can be over several short periods throughout the day. Limit the time in car seats, prams, strollers, and so on. Take your baby out of the equipment when it is not needed. Make sure your baby is positioned well when travelling. If you have any questions or concerns, contact your GP or Plunket nurse. If you have tried the above advice for a month and your baby's neck isn't getting any better, or if you are worried, contact your GP. Information from the United States version of KidsHealth about the symptoms and treatment of torticollis. Written by Child Development Service, Montreal House, Canterbury DHB. Adapted by HealthInfo clinical advisers. Endorsed by clinical director, Paediatric Surgery, Canterbury DHB. Page created February 2016. Images courtesy of FreeDigitalPhotos.net. Baby girl rests in cradle by Danilo Rizzuti. Newborn baby sleeping by Tuomas_Lehtinen.